Homeopathy is a system of medicine, which involves treating the individual with highly diluted substances, given mainly in tablet form, with the aim of triggering the body’s natural system of healing. Based on individual symptoms, a Naturopath will match the most appropriate medicine to each patient. 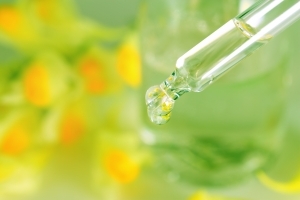 Homeopathy is based on the principle that you can treat ‘like with like’; i.e. a substance which causes symptoms when taken in large doses, can be used in small amounts to treat those same symptoms. For example, drinking too much coffee can cause sleeplessness, agitation and even palpitations, but when made into the homeopathic remedy Coffea it can be used to treat all these problems. You may already have come across this concept in conventional medicine: the stimulant Rilatin being used to treat ADHD or small doses of allergens such as pollen being used to de-sensitize allergic patients. However, one major difference in homeopathy is that substances are used in such tiny doses that they are completely non-toxic. Homeopathy can be safely used alongside conventional medicines and will not interfere with the action of medicines prescribed by your doctor. Because homeopathic remedies are non-toxic, there are no side effects and they are safe even for pregnant women and babies.